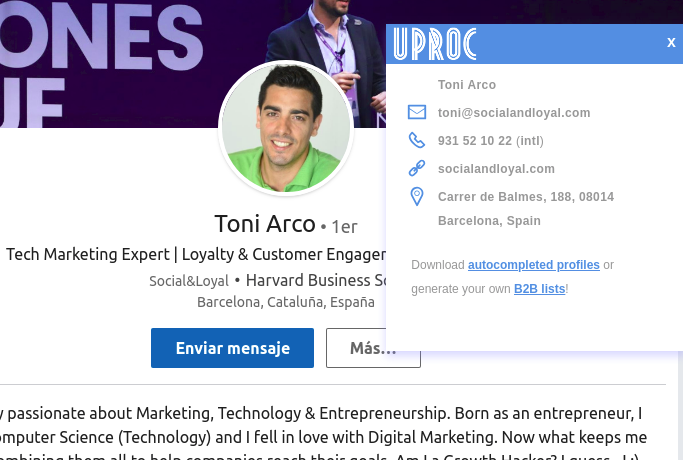 UProc’s chrome extension enriches any business profile with phone numbers, emails, addresses, and websites. Use as a free alternative to Snov.io, Lusha or FindThatLead. Find the right candidates or decision makers on social networks and contact them. Save time by finding the correct email, phone number, address, website and social profiles of company. Improve response by contacting your prospects directly. Make your process faster and avoid wasting your time on tedious tasks. Filter and download any visited profile to build campaigns. Send any visited profile everywhere using a trigger on Zapier. 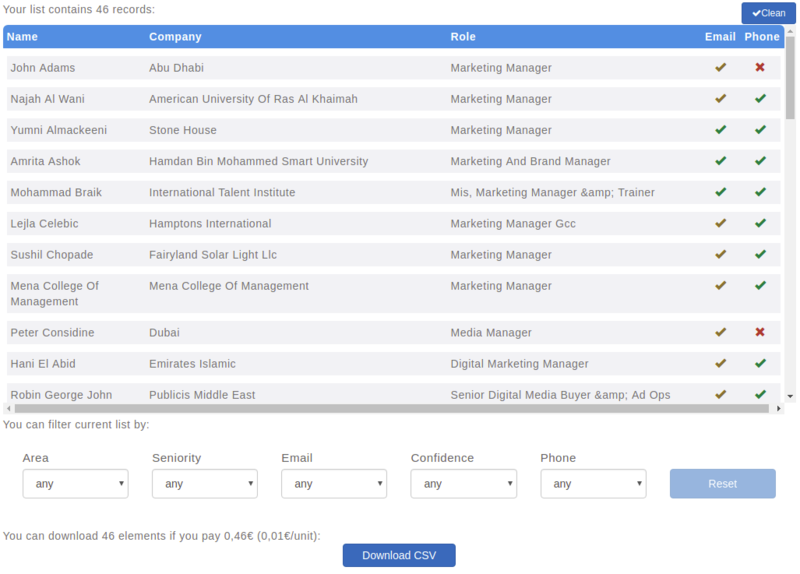 Get professional email using current Company position. Visit company’s page to view followers and published tweets. Call profile using the company’s local or international phone. Play published videos to know what they do. Click on Company address to get the best route on Google maps. Visit company’s profile to check published posts. Visit the company website without searching on the internet. Discover company’s environment and what they usually do. We will improve our data service adding new functionalities with your donation! Extension installation is absolutely free and you can browse as many profiles as you want. If a profile doesn’t exist in our system, current company position has changed and phone or email are returned in popup, a unit cost of 0.01€ per profile will be charged to your account balance. Access to existing profiles has no cost. Any downloaded profile (or sent to Zapier with trigger) has a cost of 0.01€/unit. Check “UProc for Zapier” to know more. Add more balance to your account at https://app.uproc.io/app/billing. Install extension from Chrome Web Store. A new blue “U” icon will appear on browser (top right). If you are a new user, create a free account on https://app.uproc.io/app/signup, confirm received email and you will get api_key. 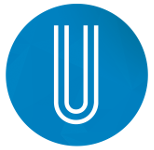 If you have an existing account, log in at https://app.uproc.io/app/login and copy your integration credentials (email and api_key) from https://app.uproc.io/app/integration. Copy your credentials to extension popup and save it. Connect to your LinkedIn account and visit any profile (you have to reload visited profile to enable extension). U icon will appear inside your browser window. A window will appear on your right with profile data when ready. If you are working on a Windows Operating System, restart Chrome Browser to install extension correctly. There is no restriction, and you can complete as many profiles as you want, no matter if you are connected or not, or connection degree. Where can I see autocompleted data? A U big icon will appear on the right side when you browse any profile. If autocomplete setting is enabled, new data will be appended to tab “Contact and Personal Info” (right tab) and basic data (email, company, location, and phone) will be shown in a new window on your right. If autocomplete setting is not enabled, you can click on blue U big icon to discover data on demand. Can I rely on autocompleted data? This extension autocompletes related data (address, website, phone, email, role, and gender) using existing data on the profile. This capability uses public sources to enrich data and sometimes those fields could be not reliable. An email marked with “risky” means that it can’t be verified on recipient SMTP server, due to email domain/setup restrictions. UProc is not responsible for provided data. Which sources do you use to show information? Reliability depends absolutely on existing information. Is it possible to extract LinkedIn data? This extension wants to help end user, adding additional data in the profile view and avoid visiting external resources. Due to LinkedIn policy terms, original profile data could not be extracted outside the social network. No LinkedIn data profile is saved in our system. Only appended data can be downloaded from our system when you access to the default list. You can filter list to download required data. Will my account be blocked if I use this extension? If you visit lots of profiles to get related data in a day, probably LinkedIn will log out from your account. You will be able to reconnect to your account again if you retry later. Please don’t abuse profile browsing or LinkedIn could block your account. This is your responsibility. We only visit the current profile and company page in the background when autocomplete mode is enabled. LinkedIn allows using a free Pro account for a month. This way you will be able to visit more profiles with no blocking problems. And remember “With great power comes great responsibility”. Be responsible with this tool and obtained data. UProc has no responsibility for bad use of the extension. What should I know about GDPR? Next May 25, the General Data Protection Legislation (GDPR) will be mandatory for all natural or legal persons worldwide who process data about European citizens. If you want to use the personal data obtained with the extension for a specific action you need the active consent of the affected person (via Inmail or connection request from LinkedIn). Failure to request such consent can result in serious fines. For more information, you can consult the GDPR page. UProc is not responsible for the use that violates the aforementioned obligations. Are you a LinkedIn employee? Yes, we know. Probably you don’t like this piece of software because it breaks some TOS rules (we are using profile data in a browser extension). We do NO business with your data. This is just an experimental extension to help people and make life easier. We believe that going outside LinkedIn every time user needs related profile data (like address, phone, email or website) is very blocking. And area, seniority or gender are nice filter properties when people search. We would love a smoother profile browsing experience when using your network. But we don’t want legal issues. We will remove this extension from Chrome Webstore if you request it. Do you want to test all the tools? Discover validation and enrichment capabilities in our catalog.